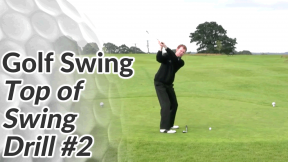 This second drill is more of a checkpoint to help you to assess your swing plane and path during the backswing. 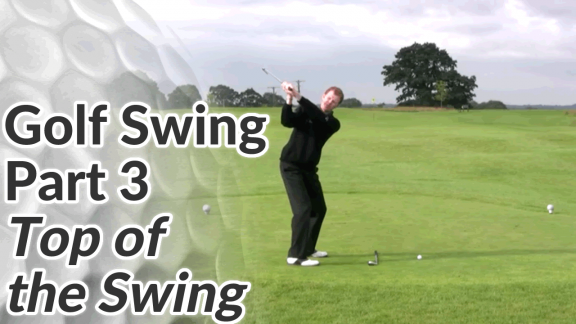 It’s a great way to make sure you’re not swinging the club on too flat a plane or too steep a plane. 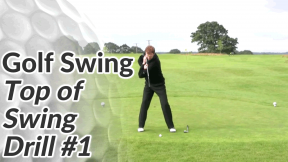 If you’re in too flat or too steep a position at the top, you’ll have to work hard during the downswing to deliver the club correctly into the ball. You’ll find it difficult to achieve any real consistency. 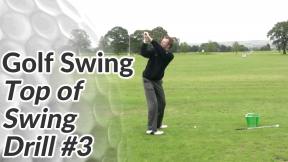 A good position on at the top on the other hand, gives you a much greater chance of producing a good downswing – which allows you to strike the ball solidly and towards your intended target. 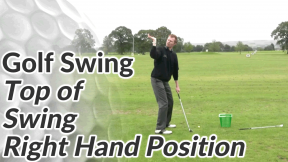 Take a normal backswing and hold the position at the top. From this top position, allow the club to drop and notice where it lands. If it lands towards the edge of your shoulder bone, that tells you that you’re swinging the club on a nice plane and path up to the top of the backswing. 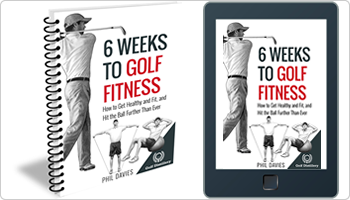 If the club misses your shoulder all together as you let it drop, that tells you that you’re swinging the club on too flat a plane – too much around your body. The position of the club at the top is in what we call a ‘laid off’ position. 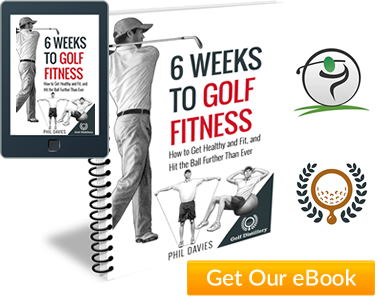 If the club hits you towards the top of your right shoulder – near your neck – you are swinging the club on too steep a path.